Are Sitewide Links Still Safe in Google? Let’s start with some history. After Google Penguin 2.0 nearly a year ago, I saw massive increases in sitewide link penalties from clients coming to us for penalty recovery and cleanup. Footer links seemed to be the single hardest hit link type but blogroll and sidebar links were no safer. In the weeks following Penguin 2.0, sitewide links appeared to be involved in nearly 75% of the penalties I was working on at the time… An astonishingly high number! The basis for this conclusion were the sheer numbers of sites we were getting with high numbers of sitewide links including many web design agencies. The majority of these penalties were algorithmic but we have also seen a fair share of manual penalties involving heavy sitewide linking both before and after Penguin 2.0. It’s also worth noting that Penguin 2.1 (Oct 4, 2013) did either nothing or very little with sitewide links and penalties today rarely have these links. Not the most informative video but it is unusually lucid for Matt Cutts. The two takeaway points are that sitewide backlinks have diminishing SEO returns with higher numbers of links and also they have potentially heavy spam footprints. A sitewide link on 1000 different pages may not have any more SEO value than a single contextual link in relevant content. On the other hand, sitewide links have a much bigger spam footprint than just about any other type of link. Let’s look at examples for the three most common types of sitewide links and go over why they’re done wrong and what has changed after Penguin (particularly Penguin 2.0). The dofollow footer links in this image are highlighted in blue. There are a number of specific problems. Three out of four of the footer links use exact match keywords. “Advisor Price” is the only brand name keyword here. As it turns out, sitewide links are an absolutely terrible place to put commercial keyword anchors. It looks spammy and can imbalance safe ratios for commercial keywords. In my opinion, a sitewide link with a pure commercial keyword phrase is the most toxic type of link possible in terms of risk. After Penguin 2.0, all of our web design clients had one thing in common. Literally every one of them was being penalized for the exact same issue; they all used money keywords in anchors for their sitewide footer links on clients’ sites. Our advice is always the same: if you use footer links, use brand name or else naked URL. 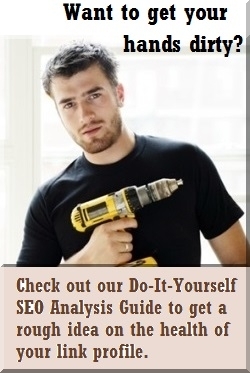 NEVER use ranking keywords in footer or sitewide links. I repeat, NEVER use ranking keywords in footer links! 3. Link network with sitewide links?! What’s new? Everything… Yet nothing… This is actually a different site but with the same theme and same footer links. One keyword is different but essentially it’s the same footer on a different URL. Yes, it really is a blog network (link network) of footer links with zero effort at hiding the footprints… Our client actually had their site placed on literally hundreds of blogspot footer links exactly identical to the two examples above. This was truly a disaster piece that negative SEO gurus should take notes on! The above 3 points illustrate some of the common methods of sitewide linking before Google Penguin. Now in 2014, it is very rare to see footer links like these even with penalized sites. Based on what I have seen, footer links seem to have very limited uses where they can be safe. Web design firms can use dofollow footer links for their client’s sites if they use best practices and also have a diverse link profile including other strong links that are not sitewide. They should also have the option for the client to opt out of having the link or having it nofollow. Sister sites/companies would be another legitimate reason to use an external footer link as long as these sites have a legitimate reason to be separate. In general, footer links should be used meaningfully and in moderation, with only brand or naked URL anchors, and a clear reason to exist. Otherwise they are a significant liability for both algorithm and manual penalties. The most important point is that they should have a clear reason to exist. This means a clear relation to the site they are placed on, whether a sister company or branch, a web designer client, or something else. Otherwise, it risks looking like a clear paid link. There is another common issue with these sidebar links. When they are all different niches with none of them relevant to the blogroll site itself, this essentially creates a footprint of paid links. I’ll spare the eyesore of a blogroll done wrong, mostly because of the typical size… In our SEO analysis for backlinks to penalized sites, I often see blogroll after blogroll with 100+ links that scroll down several pages, far beyond where the main content ends. Such sidebars will often have all exact match keyword anchors, and all unrelated to each other link and the site itself. 100+ off-topic sitewide blogroll links is a spectacularly bad SEO tactic both for risk and link juice value. With such blogrolls, it is clear the only possible reason these links exist is because they are paid. 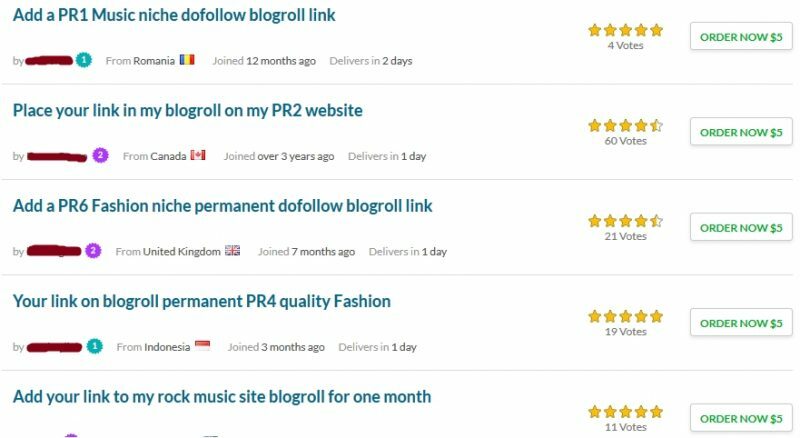 In short, blogroll links are a common paid link type and as sitewide links they are often a trigger for Penguin or manual penalties when done wrong. These links appear to be genuine blogs without commercial intent. The anchor texts are not exact keyword (spam). 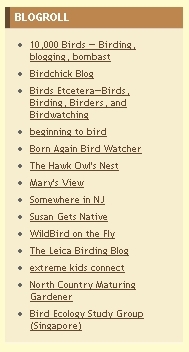 There is a reasonable number of links (14 total) and they are clearly all relevant the topic of the blog. A blogroll done right. In general, I have seen many legitimate and safe blogroll links from hobby blogs, mom blogs, personal fashion blogs, and health/nutrition/diet blogs. These blogroll links will be nearly 100% relevant links to the blog’s topic and almost never use pure money keywords. Again, ask yourself the reason for the link to exist. If it is clearly as a useful and relevant resource, then it is fine. This is the header of the site. Each of the blue menu items above the image is actually a dropdown menu of external links. Additionally, notice the statement above the menus that gives it away as paid (rented) links. ☑ Non-relevant sitewide header links. ☑ Massively spammed on multiple dropdown menus. ☑ Explicitly stated to be paid links. It is interesting to note that our client actually had a real editorial link within this site’s content. This site was PR3 and most of its former pages gave 404 errors. This is very likely a hacked site or re-purposed expired domain made for SEO. Clearly it was no longer a legitimate site to have a link from. Where is the header link you ask? Exactly! It is done right because the header link is indistinguishable from the other navigation links and looks completely natural. In this case, the forum is actually on a dedicated domain so the “Forum” menu item is the external link. This header is from one of our big client’s PR4 sites with absolutely no risk issues or penalties. They just wanted to check with us to be sure. 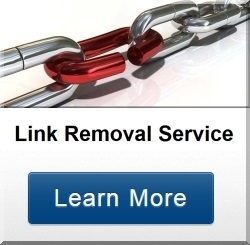 Sitewide links are not unconditionally bad links. There are many legitimate reasons to use them but there are also many ways they can go wrong. When using sitewide links there should always be clear topical relevance or else another legitimate (non-SEO) reason to exist. Among other things, this means absolutely never using pure commercial keywords used as the anchor text.